The South Korean electronics company, which assumes the tentpole position among smartphone makers by both volume and brand value, said it had put months of rigorous efforts at its Research and Development centres in Bengaluru, its largest R&D facility outside Korea, to understand and adapt to Indian dialects and contexts. Samsung says it has thoroughly baked in support for various Indian accents, letting even those customers who have opted for English (US) language, make use of Bixby. "Keeping in mind the diversity in Indian accents and our commitment to 'Make for India', Bixby has been optimized to understand Indian accents," said Mr. Asim Warsi, Senior Vice President, Mobile Business, Samsung India in a press statement. Bixby, which was launched across several US and European markets earlier this year, offers four essential features to customers - the ability to talk to Bixby, take pictures and let it make sense of it, use it to set reminders, and receive recommendations for products, foods, and things to read. The virtual assistant offers "Quick Commands" feature that allows users to create a custom voice command to use in place of a sequence of one or more commands. For example, the company said, one can use the command "good night" as a shortcut for "Turn on Do-not-disturb mode, set an alarm for 6:00 AM and turn on blue light filter." Samsung's Bixby assistant, unlike Siri and Google's Assistant, doesn't work with a wide-range of smartphones. At present, only the Galaxy S8, Galaxy S8+, and the Galaxy Note 8 offer this functionality - with the recently unveiled Samsung Galaxy J7+ featuring the Bixby Home app. 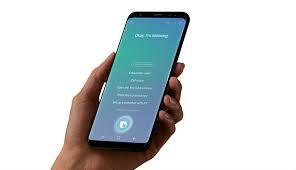 Samsung-made Android smartphones, however, also support Google Assistant, Microsoft Cortana, and Amazon Alexa, should users desire to utilise them.